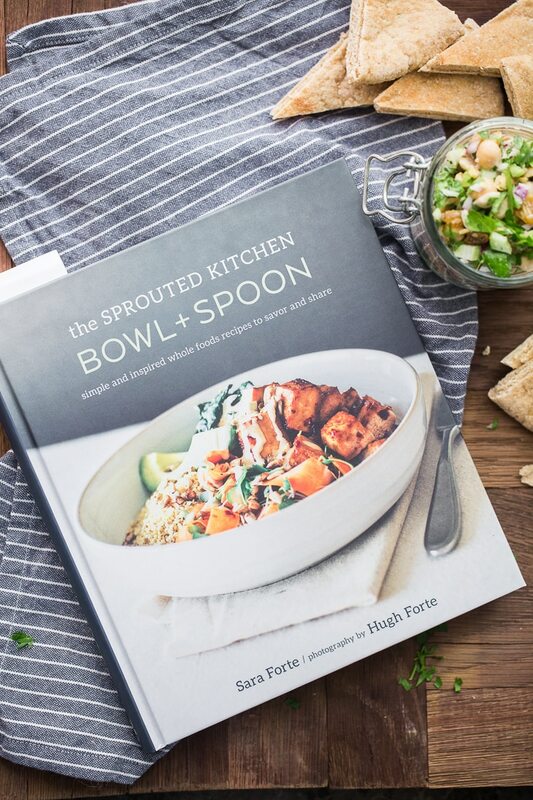 First up is this beauty of a cookbook from Sprouted Kitchen, Bowl + Spoon. Sara is one of those bloggers that every time she post, it’s like a rush of inspiration and creativity. I love her use of layered ingredients to create gorgeous meals and this book just builds on her unique way of preparing whole foods. There is a wide array of meals, all focused on of course- being something that can be served in a bowl. 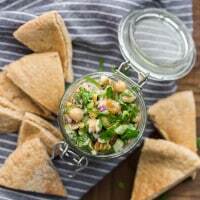 It was hard for me to pick just one recipe to share with you but with the summer travel/picnic season upon us, I really wanted to try Sara’s take on a deli salad made from chickpeas. 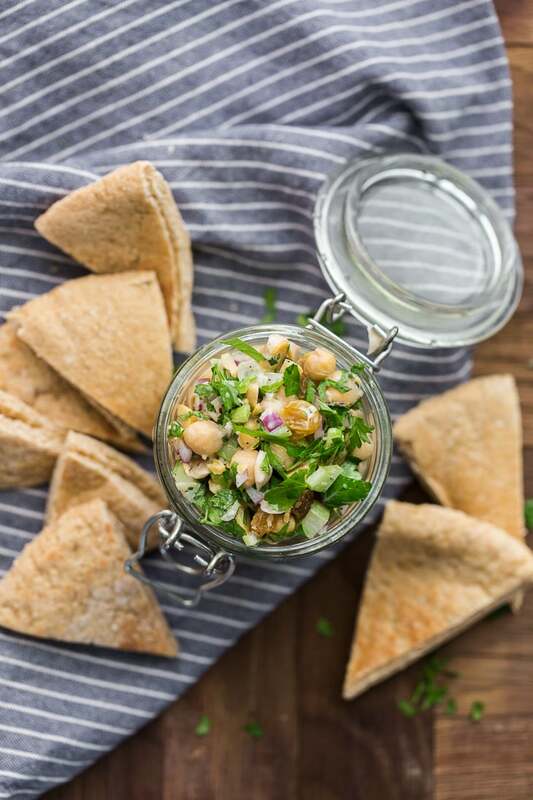 I’m already smitten with the idea of chickpea salad (I have this version with blue cheese that is killer). Sara’s version is an herby version of what I know as traditional chicken salad and the amazing part- it’s perfect for vegetarians and meat-eaters alike. It’s great for packing away in a to-go container with some crackers and pita, then hitting the road. I think it’s the addition of parsley and golden raisins that really take this version over the top. In a bowl, whisk together the mayonnaise, lemon juice, a pinch of salt, and pepper. Add in the celery, red onion, and raisins. Roughly chop the chickpeas and add into the bowl with the other ingredients. Stir in the parsley and chives then taste and adjust the level of salt and pepper if desired. Let chill for 30 minutes or more before serving. *Sara recommends using veganaise for a good vegan substitute. M loves mayo, so that just happens to be what we always have on hand. *This recipe is straight from Bowl + Spoon– can’t adapt something that is so simple and taste so great! I like anything with chick peas. I think I will have to try this recipe soon. Thank you for your post. I love this recipe Erin – so perfect and fresh! Looks so delicious! Though I’m sure I could finish in one seating, do you know how long this stays fresh in the fridge? Mine lasted four days in the fridge just fine. I love chickpeas. I’ll be trying this recipe. Just got this book and I am so looking forward to cooking from it. Her recipes are so SO creative. Hope you and your baby are doing well.. Cheers! I super-duper hate mayo, how would this salad go with some whipped up avocado as a replacement? I think that might be nice- or you could also try a bit of greek yogurt. It won’t have the same flavor but might still be nice! Winner winner chickpea dinner. This is great by itself and on some healthy toasted bread. Lucy’s avocado idea sounds great-I might do that next time.